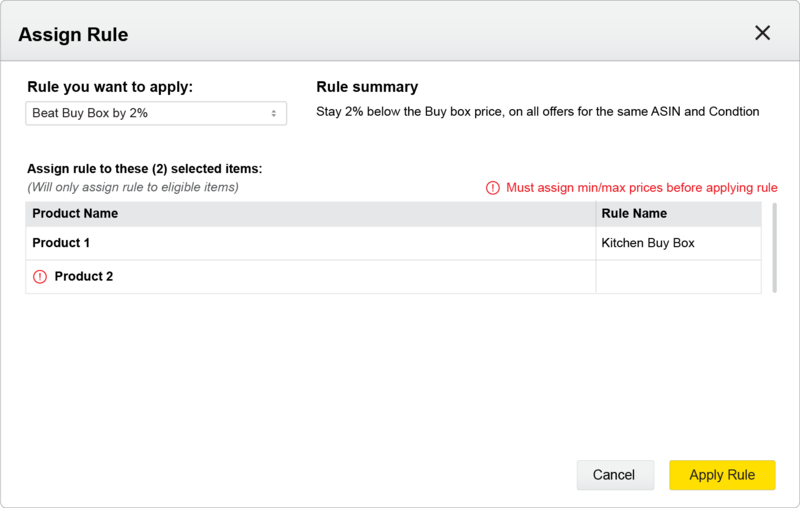 Improve the experience of Amazon's seller interface, Seller Central, through automation. 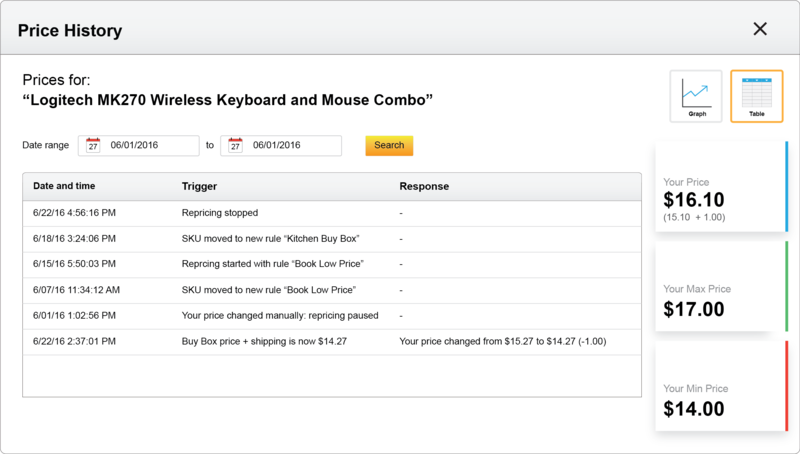 How might Amazon’s Seller Central utilize bots (automation) to streamline repetitive tasks and create helpful tools for small sellers to expand? 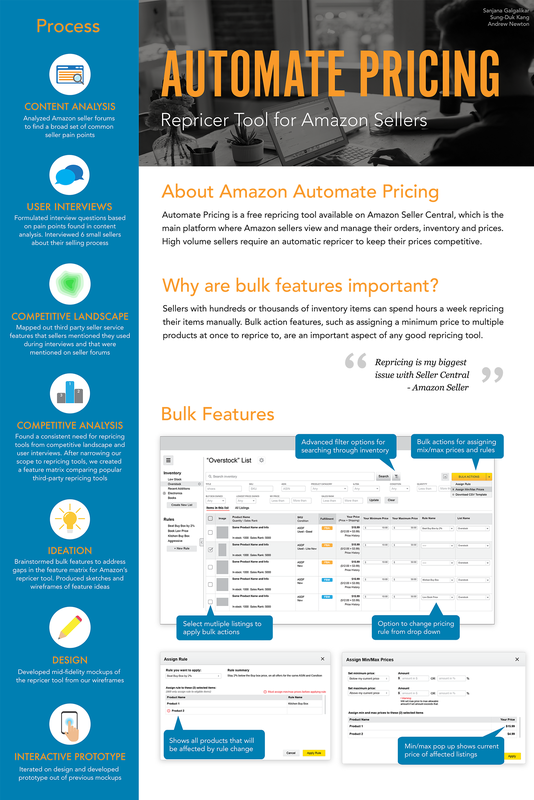 For my capstone project in the Human Centered Design and Engineering (HCDE) major, two other students and I worked with Amazon to redesign and add new features to a tool called “Automate Pricing” — Amazon’s automatic repricing tool for Amazon sellers. 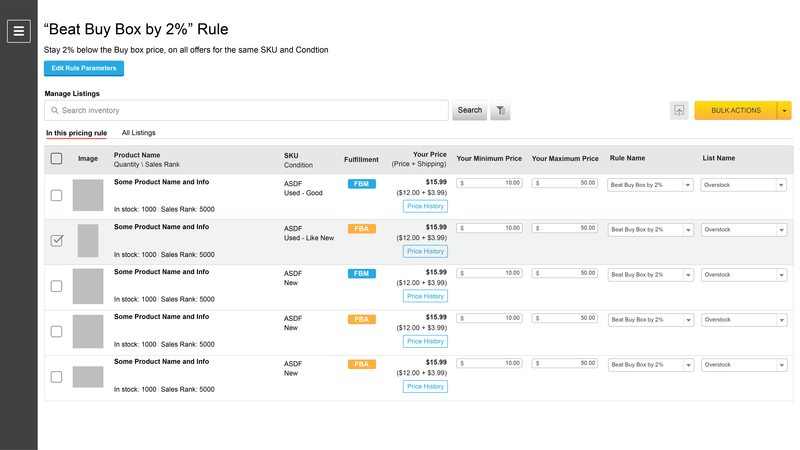 Automatic repricers are important for sellers because they help keep their prices competitive, which is a critical aspect of being a successful seller on Amazon. Check out my process book to view the full details of this project. My team and I presented this poster of our capstone project at the 2017 HCDE Open House event. We also presented this poster to a group of Amazon engineers and product designers at their Seattle campus. 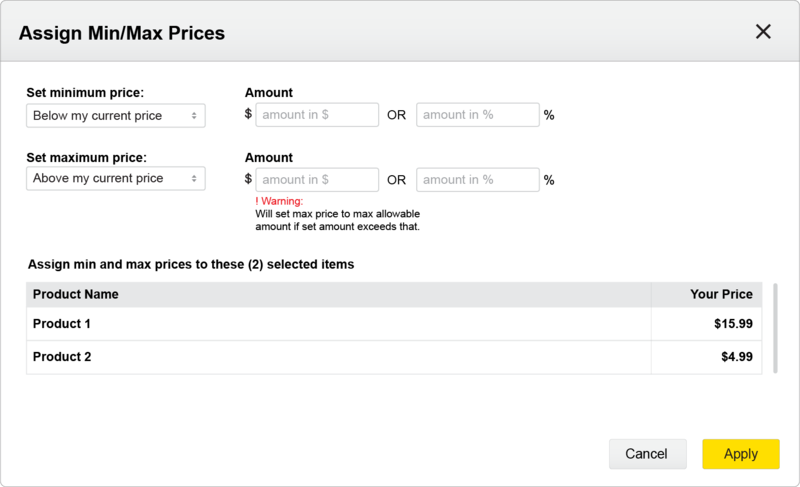 Amazon's Automate Pricing is a tool for Amazon sellers that allows them to automatically reprice their products to match a certain criteria they set. 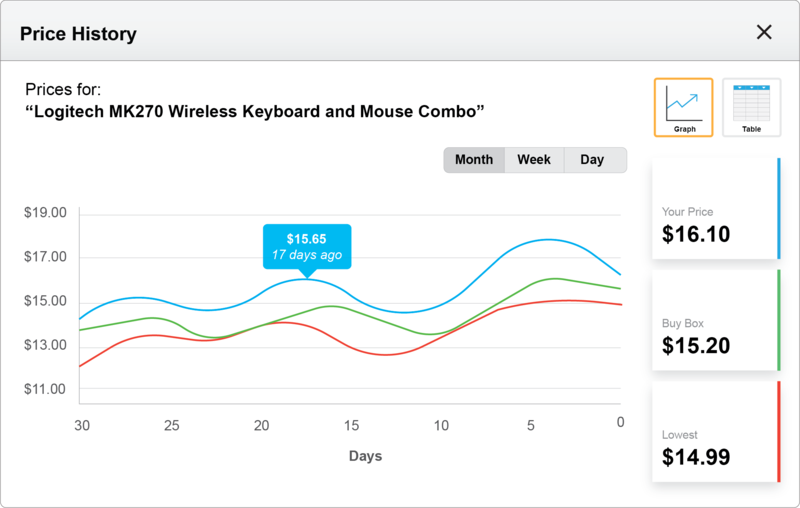 For example, a seller could use the tool to set their product's price to always be 2% above the lowest price offered or to match it. 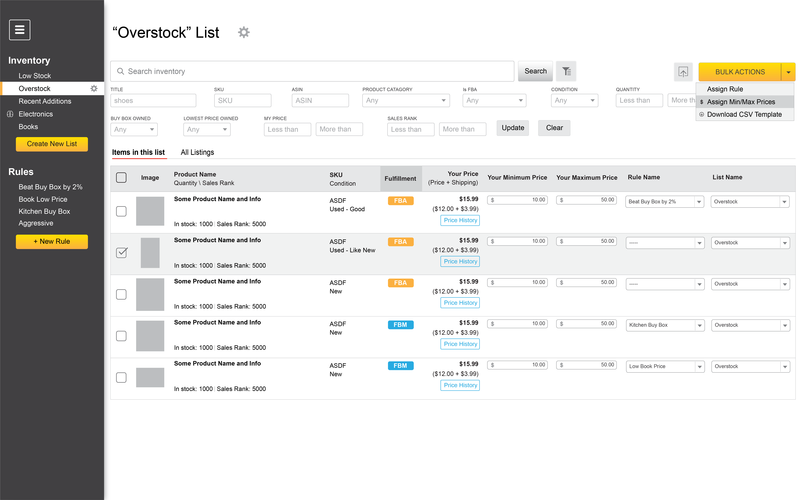 Below is an image of the original interface for Automate Pricing. 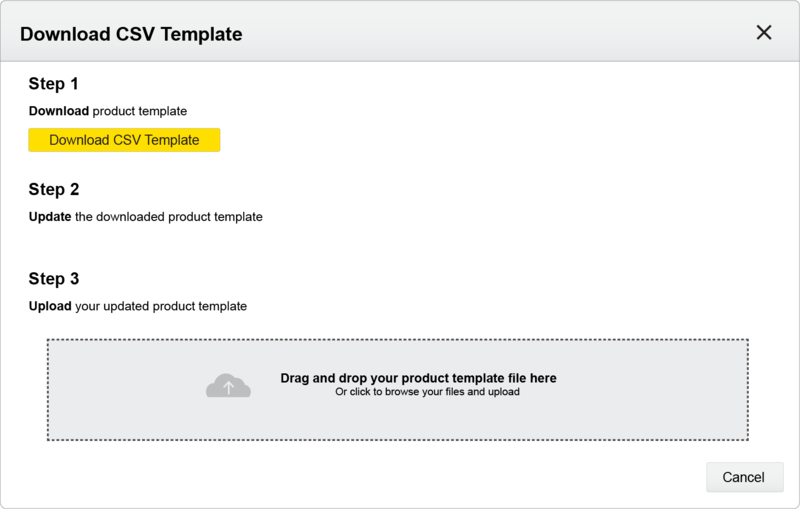 I created these high-fidelity mockups of our redesign for the Amazon Automate Pricing tool interface. 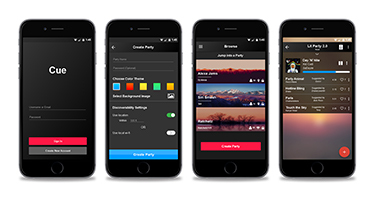 These mockups showcase the new bulk features, search filters, and redesign of the main interface that my team and I created as part of the final deliverable for this project. 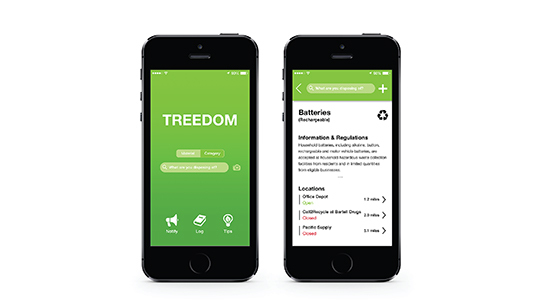 This capstone project was a rewarding opportunity for me to practice many of the important skills I gained from majoring in HCDE — especially in user research and design. Working with Amazon as a sponsor provided me valuable experience in gaining knowledge of industry level UX research and design practices. 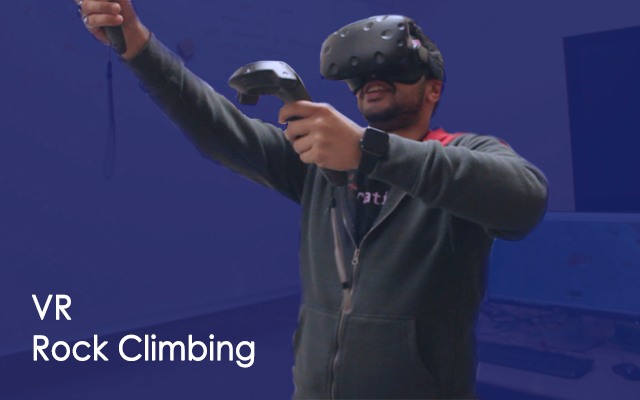 This project also taught me about some of the challenges that comes with working in industry. In particular, I learned a lot about pursuing design opportunities that strike a balance between meeting the needs and interests of the various stakeholders, in this case Amazon, sellers and buyers.